Another late post but I honestly made plans to make Valentine goodies for my friends and co-workers months away but K is right, as she was quick to comment when I talked about it then- it's better not to make any plans at all or something to the effect coz we don't know what lies ahead; plans could be derailed which is what exactly happened. The initially planned cupcakes and cookies were scrapped from the list due to time constraints but I did make something for everybody and they loved it! 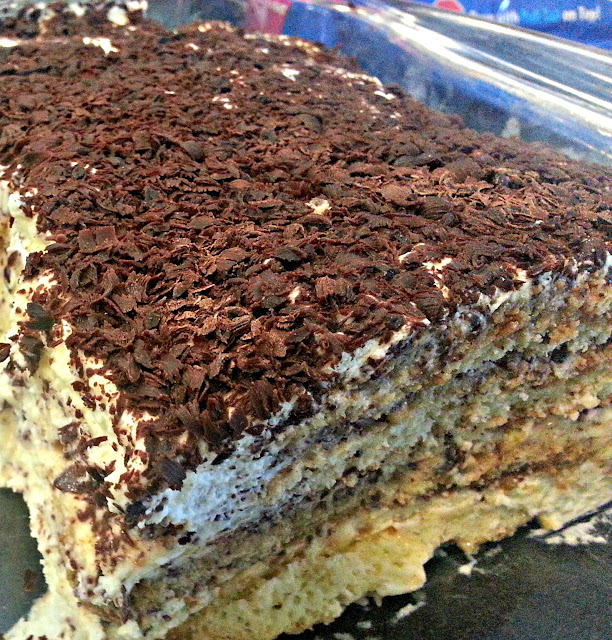 I made Tiramisu which required but a little baking and only because I prefer to make my own ladyfingers. Gently fold into yolk mixture and chill before using. Cover with plastic wrap or aluminum foil and chill overnight or until firm before serving. Make sure to refrigerate any leftover. I also made Coconut-Pineapple Tres Leches Cake the next day for Lola's birthday. This cake is so close to my heart because I was able to convince some people that not all tres leches cakes are created the same. They said they don't like the cake but I refuse to accept that. I know I'll be able to change their minds and I did. K who said she didn't like the wet cake even asked for more of the cream mixture to pour over her cake- how I did it? The sponge cake base is barely sweet and despite being soaked in the cream mixture still hold its own certain firmness. 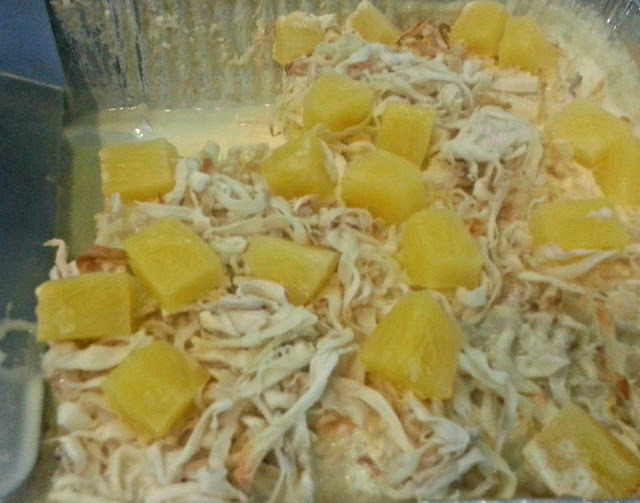 For Teresa, she said she has texture issues with tres leches but I had her at my shredded fresh young coconut and pineapple chunks toppings. I hope everyone had a blast on Valentine's Day and for myself, if i could share good food everyday then it's Valentine's Day everyday!